The most popular vocal score for Vaughan Williams' Dona Nobis Pacem is shown below. The OUP edition of Vaughan Williams' Dona Nobis Pacem is for SATB. The work was commissioned to mark the centenary of the Huddersfield Choral Society. 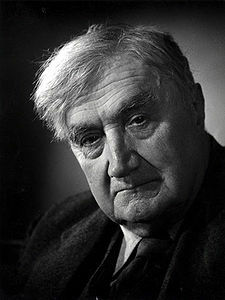 Vaughan Williams produced his plea for peace by referring to recent wars during the growing fears of a new one. His texts were taken from the Mass, three poems by Walt Whitman, a political speech, and sections of the Bible. A.V. Butcher has analysed Vaughan Williams' use of the Whitman poems in this composition. The work is scored for chorus and large orchestra, with soprano and baritone soloists. The phrase Dona nobis pacem ("Give us peace"), in different settings, punctuates the entire piece. 1. Agnus Dei, whose Latin text comes from the last movement in the Roman Catholic Mass. The soprano introduces the theme, singing it over the orchestra and choir. The text translates as "Lamb of God, grant us peace." 2. Beat! Beat! Drums!, is based on the first Whitman poem. The text describes the drums and bugles of war bursting through doors and windows, disrupting the peaceful lives of church congregations, scholars, bridal couples, and other civilians. 3. Reconciliation, uses the entire second Whitman poem. The baritone soloist introduces the first half of the poem, which the choir echoes and varies. The baritone then continues with the rest of the poem, followed by the choir presenting a new variation of the first half. At the end, the soprano repeats a variation of the Dona nobis pacem of the first movement, hauntingly soaring above the final lines of the chorus. 4. Dirge for Two Veterans, uses most of the Whitman poem. The movement was originally composed in 1914 and later incorporated into Dona nobis pacem. Here the drums return, but now in a dirge for the father and son, "dropped together", being marched in a "sad procession" to their "new-made double grave", overlooked by the "immense and silent moon". Still, for all the solemnity, the notes of hope in Whitman's poem are set to a swelling choral paean, as if to reassure us that we have indeed learned from the carnage of the Great War. 5. The last section, which bears no title, starts with the baritone soloist and a quote from the John Bright speech with which he tried to prevent the Crimean War ("The Angel of Death has been abroad throughout the land . . ."). The movement continues with somber quotes from the Book of Jeremiah, with the soprano and choir intervening with the Dona nobis pacem plea. The movement then continues with more optimistic texts, including a brief setting in English of the Gloria. It ends with a quiet coda of Dona nobis pacem, introduced by the soprano again, adding the choir to finish the piece.